Most people prefer watching sports on TV, even with the great diversity of content available online. They might binge watch, but live sports is still preferable. Installing cable and satellite TV may seem like the next best thing but do you want to pay an expensive subscription fee for a few channels? This cost factor is why you should consider getting a TV antenna. A television antenna receives channels from broadcast stations, allowing you to enjoy your favorite prime time shows, the local news, live sports – all for free! 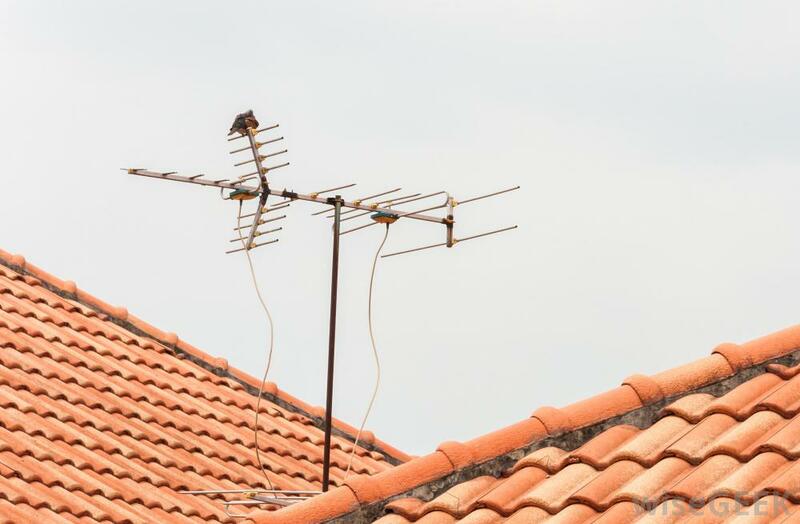 However, when it comes to purchasing a TV antenna, there are three main options you can choose from including indoor, outdoor and attic TV antennas. 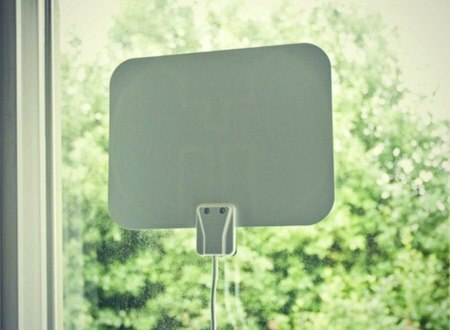 However, in this guide, we will be discussing the advantages of using an outdoor TV antenna. If you're more interested in Satellite Dishes look at our Satellite Dish Buying Guide. As the name indicates, this TV antenna is mounted on the rooftop so that it can receive signals from neighboring broadcast towers. Because of its lofty height, outdoor antennas have to combat fewer obstructions such as buildings, walls, roofing materials and trees. These antennas have a distinct advantage to their indoor counterparts because they better reception and have better exposure to broadcast towers. If you live in a quiet town that is far away from broadcast towers, purchasing an outdoor antenna is your best option if you want to receive available signals. You can mount these antennas on the roof, the tripod, house or even your deck in case the roof is not accessible. However, before you drill any holes, remember to scan for available channels in your area. If you are having trouble receiving a particular channel, you can discuss the issue with your local broadcaster, and they will sort out the problem as soon as possible. Folks who live in apartments or do not have access to the rooftop can consider investing in an attic TV antenna. Investing in an attic antenna is also a good choice for aesthetic reasons or if your neighborhood does not permit you to set up an antenna. However, an attic installation may not result in best signals because of the surrounding building materials. Consider mounting the antenna on a crossbeam or mast, so it does not touch the flooring. When it comes to purchasing a TV antenna, you will certainly be better off with an outdoor model. These antennas are capable of receiving signals from ground-based radio transmitters as well as from satellites. 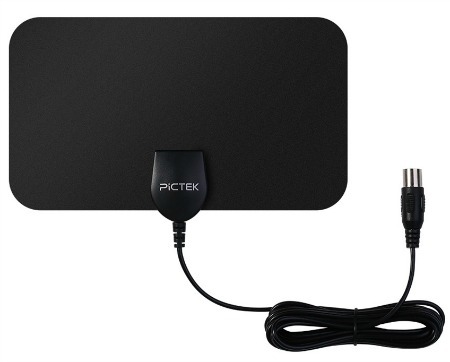 These models also receive superior quality signals when compared to indoor TV antenna thanks to signal transmitters. Crystal Clear Quality: Never worry about watching your shows in a bad quality. Thanks to minimum interference, outdoor antennas produce crystal clear imagery so you can enjoy your favorite TV shows and sitcoms. Higher Frequency Level: These antennas operate exceptionally well at higher frequency levels, which means you enjoy more channels and don't have to worry about installing satellite TV. Access to Various Channels: Thanks to outdoor antennas, you get access to a large number of digital television channels. Receives Better Signal Quality: Unlike their indoor counterparts, this antenna experiences minimal interference, allowing it to pick up good signal quality. 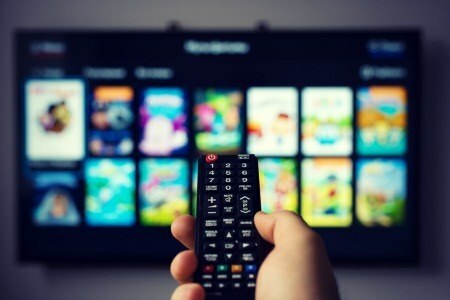 Additionally, while satellite and cable providers offer hundreds of channels, they incorporate various data compression techniques that often compromise on image quality. 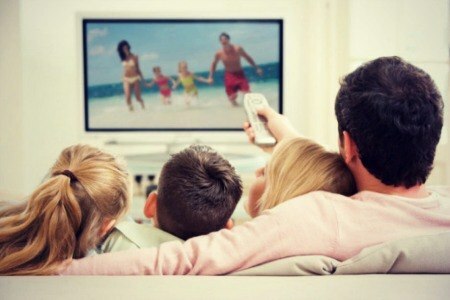 Favorite Shows for Free: By making a small investment, you can enjoy a large number of channels free of cost. Since over the air signals are free, you have access to a large number of channels for a nominal fee. Once purchased, a TV antenna will stand by you for years so you might as well do proper research before spending your hard earned money. Pay attention to which type of TV antenna will be best suited for you according to your location. Other important factors include which direction you will be positioning the aerial. 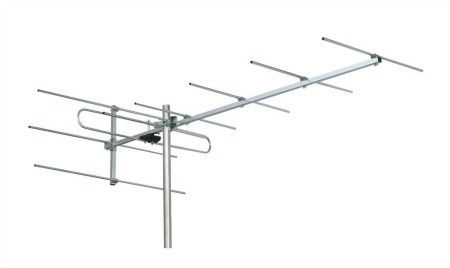 When purchasing an antenna, you will be asked to select between VHF or UHF. While it seems practical to say both, you still need to know what you get for the money you spend. At present, there are very few VHF channels while the numbers for UHF are soaring. 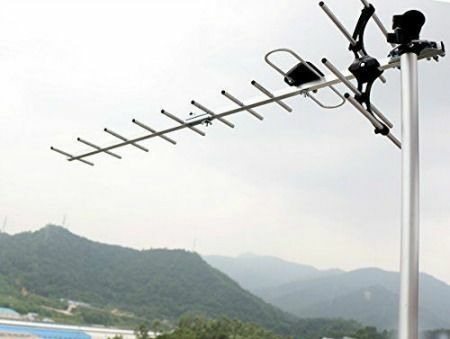 Most TV antennas on the market are capable of picking up both types. Additionally, many local stations which were previously using VHF are now adopting UHF digital signals, which is primarily because both types of signals cannot coexist in the same space. Switching to digital signals is your best option right now. It will preserve your access to current stations while giving you access to many other TV stations that are not available with analog signals. As the name indicates, these antennas aim towards a single direction, offering the strongest signal reception from that particular direction. However, these antennas are not suitable for picking up signals from multiple directions. Directional antennas are suitable for folks who want to pick up weak signals from a particular receiving station. You can also use a rotator to alter the direction according to your preference. Also, known as Omni directional, these antennas are capable of receiving signals from all directions. However, on the downside, since these antennas pick up signals from every direction, the signal strength is lesser compared to its directional counterparts. These antennas are an excellent choice for folks who live near multiple TV transmitters where the signals are comparatively strong. To overcome interference and obstructions, antenna users can consider using amplifiers to improve reception. Some amplifiers are built-in whereas other models require you to invest in a separate device. People often refer to outdoor antenna amplifiers as preamps. These antennas are popularly used for indoor models and can pick up signals from every direction. They usually feature a flat amplified or rabbit ear design. Non-amplified antennas are only suitable for folks who live in areas with TV signal towers nearby. This model is only suitable for neighborhoods with little interference. These antennas typically need to be plugged in with a power cord, so you'll need an electrical outlet nearby. As the name indicates, these antennas are capable of retrieving directional signals from long distances. This type of antenna is best suited for folks who live far away from TV signal towers but don't want to miss out on their favorite shows. As discussed above, television antennas are available in three main types. However, these two kinds are far more widespread and are popularly used by TV viewers. Indoor TV Antennas are typically the best option if you near TV signal towers and don't have access to a roof top, which makes it an excellent option for folks who live in apartment or city areas where mounting an antenna on the rooftop isn't a practical choice. Indoor TV antennas are compact, and you can position them discreetly in your living room without taking up too much space. However, these models may not be best suited to the present day since you can tune them to VHF stations. Most TV channels today are transmitted via UHF signals. Another downside of indoor TV antennas is that metal, wood and other types of building materials can obstruct the signals. Household appliances such as phones, routers, and computers can also affect the quality of the signal. For better signal quality, we recommend you reposition the antenna (preferably near the window) to find clearer, better quality signals. 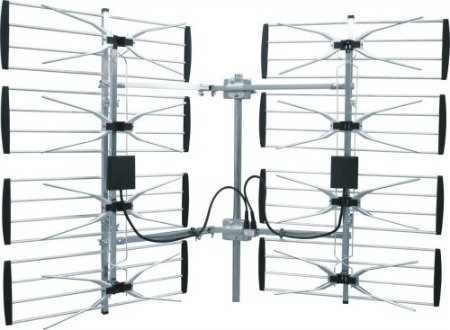 We have already discussed in detail how outdoor TV antennas offer more benefits to the user. These antennas are comparatively larger, and you can conveniently mount them on the roof, out of sight. It features a larger antenna surface area that allows it to pick up stronger signals. Because of its size and location, most outdoors antennas can perform better than even the best indoor models. 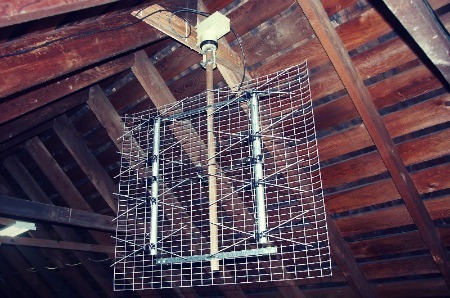 Outdoor TV antennas also outperform indoor antennas regarding height. This feature ensures the outdoor model is not affected by obstructions such as building materials and home appliances. Are you planning on installing an outdoor TV antenna? Most antenna manufacturers offer a detailed set of instructions on how to install the device. However, keep in mind that outdoor antennas require you to step on the roof top so keep a ladder at hand. 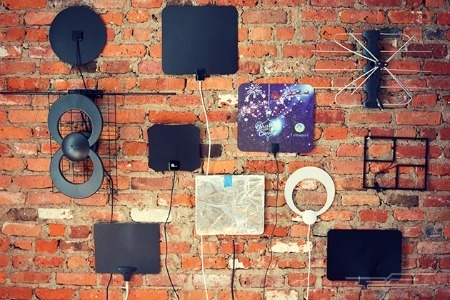 First things first: decide the perfect placement for positioning your TV antenna. There are plenty of websites on the internet that will provide you information about the nearest broadcast towers in your vicinity. Just input your address, and you're good to go. You can also ask your neighbor for help. Once you have figured out which direction the antenna should point at, it's time you prepare for installation. Before you climb all the way on the roof, read the instruction manual that came with the mounting kit. To install the antenna, you'll first need to secure the bracket on the rooftop. Use screws to secure the bracket. You may also apply silicone caulk to protect the screws from water penetration. This step depends on the TV antenna you have purchased. Some models require you to assemble the parts together where as others arrive in one solid piece. Follow the manufacturer’s instructions while assembling the antenna. Now it is time for you to place the antenna pole. Just slide the pole on the antenna sleeve and secure its position. Adjust the antenna, ensuring it faces the optimal direction (towards the broadcast tower). It's a good idea to keep the bolts loose since you may want to adjust it later. To ensure you have followed the steps correctly, consider running a test. Conduct the test once you have attached all the wires. It's best you ask your spouse or sibling to switch on the TV to see whether you have installed the antenna correctly. You can try positioning it in different spots to which one offers the best reception. Once you have fixed the antenna in its ideal location, it is essential you secure it using bolts and screws. You will also have to fix the grounding wires across your roof, which is an important step and is best performed by a professional. This step is perhaps the most important concerning your safety. Use a grounding block to that is connected to the building ground. Additionally, ensure you have followed all the appropriate electric codes and guidelines in your area. 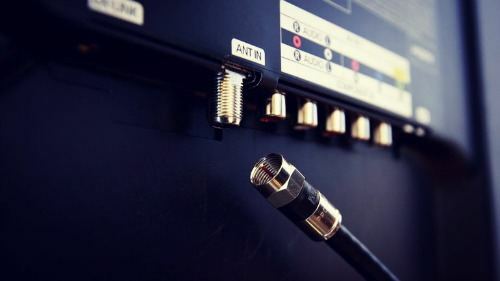 Don't forget to connect the antenna's coaxial cable to the splitters, which will allow you to watch your favorite programs anywhere in your home. Though you need to install outdoor antennas on the rooftop, try to perform as many steps you can on the ground, which includes assembling the antenna or gathering all of the tools. Be careful about the power lines. Maintain at least a distance of 6 meters when installing the TV antenna to reduce the risks of dangerous accidents. Do not install your TV antenna on a windy day, which can result in complications and life-threatening accidents. If the antenna falls and makes contact with the power line, do not remove it yourself! Call an expert such as your neighborhood power company for help. The power company will remove the antenna carefully. Ensure the line is properly grounded. If you don’t know what you’re doing, seek the help of a professional. The attic is likely to have internal wiring. Ensure the antenna is installed in a spot away from such wires. Not only will this minimize the risk of accidents but it will also ensure optimal performance for both the units. Your attic is likely to have boxes filled with personal belongings and other items. Make some room for the antenna so that the signals do not have to pass through such obstructions. Ensure no items are crowding in front of the window. Some houses may have water tanks installed in the attic, ensure the antenna is not near or in front of it. Aside from physical objects, wiring can also be a cause of interference. Ensure the TV antenna is installed in a location away from such sources. Fluorescents light and the Wi-Fi router in your house can also cause interference. Position the antenna away from these objects or consider, emptying your attic for better reception. While installing the antenna, it is easy to forget about the wiring installed underneath the floors. These wires can also result in interference. For all these reasons, it is essential you have the antenna installed on your rooftop. 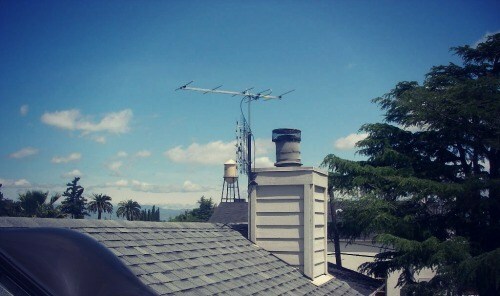 If you do not have access to a rooftop or live in an apartment, install the TV antenna near your window. The higher you install the antenna, the better signals you will receive! Height is a crucial factor when it comes to the performance of your antenna. Installing the antenna at a high spot ensures you get the best signals. We suggest you install it on top of the rooftop beside the chimney. Before you have installed the antenna, it is crucial you research the direction and location of the nearest transmitter in your vicinity. Once you have spotted the best place, mount the antenna towards the transmitter. This easy step will allow you to drastically improve TV reception, allowing you to watch your favorite shows without blurry images. You are better off installing the antenna in a location with minimal physical barriers. Trees, hills and tall buildings can affect performance and obstruct the TV signals. To avoid these problems, position the antenna at an elevated point in your house. You can also connect it to a long pole to raise the height, which will minimize the number of obstructions. No rule will stop you from installing multiple antennas. Installing multiple antennas will result in a better TV viewing experience. However, for this to be successful, ensure you have ample amount of space on your rooftop. The antennas must not collide or interfere with each other. 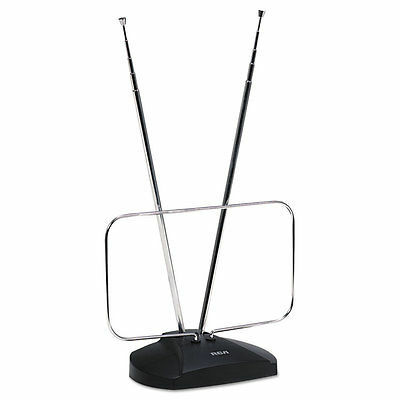 If you are unable to find your favorite channel, we suggest you invest in an antenna rotator. This handy device allows users to control the position of the antenna. You can use it to alter the direction of the antenna. Antenna rotators are relatively inexpensive and won't cost you more than a few dollars. After installing the TV antenna, it is crucial you install it in place, which will prevent heavy winds from altering its direction. Adverse weather conditions can make the rotator susceptible to wear and tear. While heavy rains can cause the metal to rust, high winds may cause the antenna to fall and break apart. 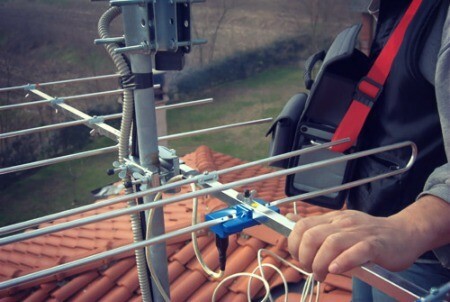 To avoid such problems, it is crucial you securely mount the antenna in place. You can do so by using a wire or rope for added protection, which will keep the antenna stable and anchored in place, preventing problems during inclement weather conditions. 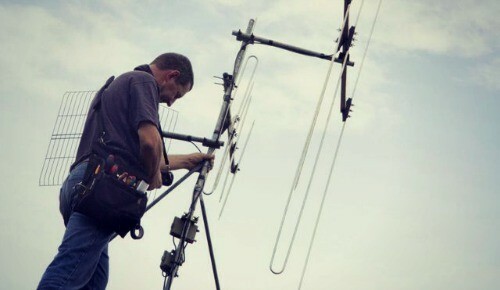 Installing an outdoor antenna by yourself can be challenging! Do not risk your safety so that you can watch TV. Ask somebody to give you a hand. You will require assistance as someone will have to hold the ladder for you or give you tools. If you have never done this before, contact a professional. Most technicians do not recommend you install the antenna by yourself because of the many risks involves. So there you have it. 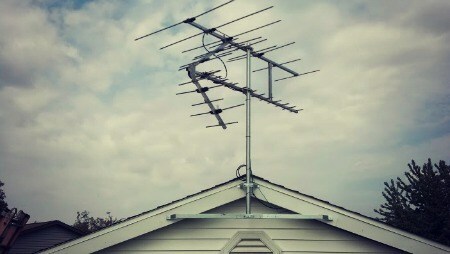 Installing a quality outdoor TV antenna can save you from an expensive cable fee. Once you have purchased the antenna, you can watch your favorite shows for free. Hopefully, this detailed guide has taught you everything there is to know about outdoor TV antennas and its installation process. You can use the comments section to post any question or queries.